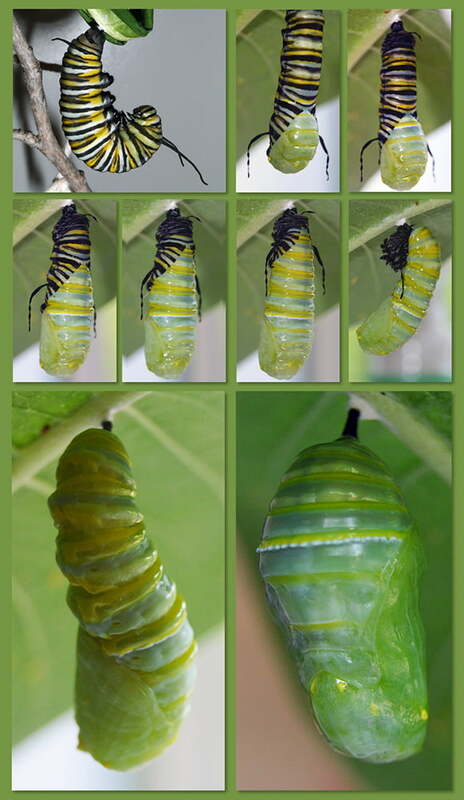 So many magical things happen when caterpillars turn into butterflies. 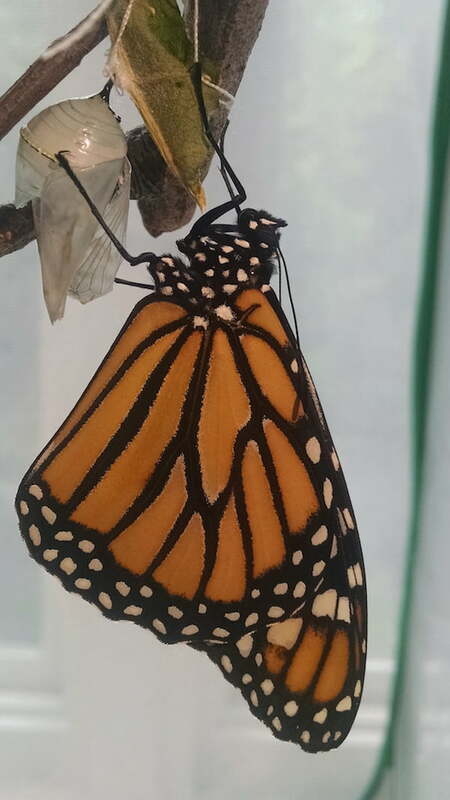 Recently, our neighbors Dale Hammerschmidt and Mary Arneson managed to get some great pictures of the monarch butterflies they often raise indoors to help protect them from predators. They said it was okay to share them, so here you are. Thanks Dale and Mary! 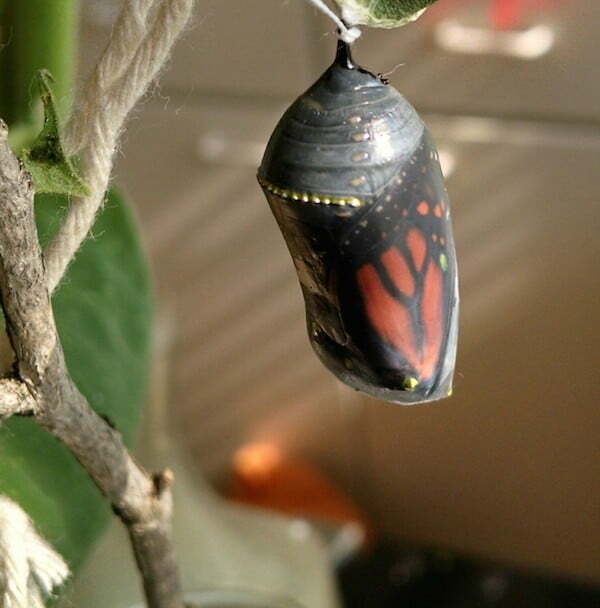 You need to wait for the butterfly’s wings to dry before releasing him or her.